3 Dynamic Cardioid Vocal and Instrument Microphones (Set of 3). Few things are more essential to recording or live performance than dynamic microphones. Ask any sound engineer and they will tell you to keep as many as possible on hand. 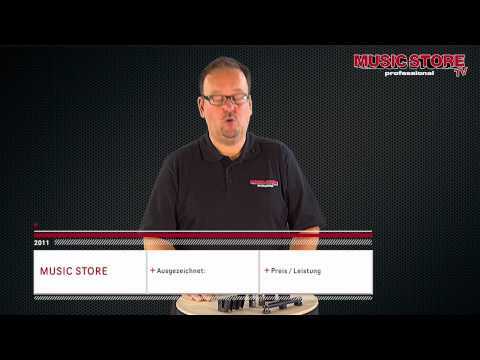 BEHRINGER has bundled a set of 3 great-sounding XM1800S dynamic microphones into one impact- resistant case, with stand adapters and mic clips so you’ll be ready to capture your sound in brilliant resolution. If you take a look at the stage in any club, you’ll probably see at least three dynamic mics for the vocalists, with even more for the drums and amplifiers. This convenient package puts three great- sounding mics at your immediate disposal. 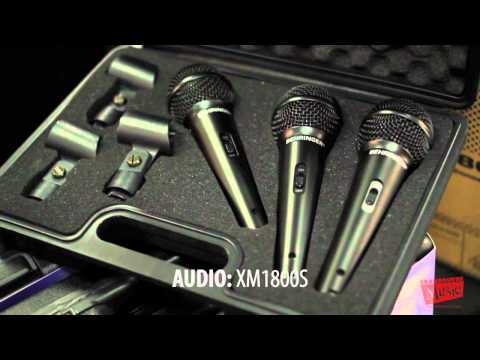 XM1800S mics provide super-clean sound with minimal distortion, a slight presence lift in the critical mid-range – and an on/off switch for breaks in the set.